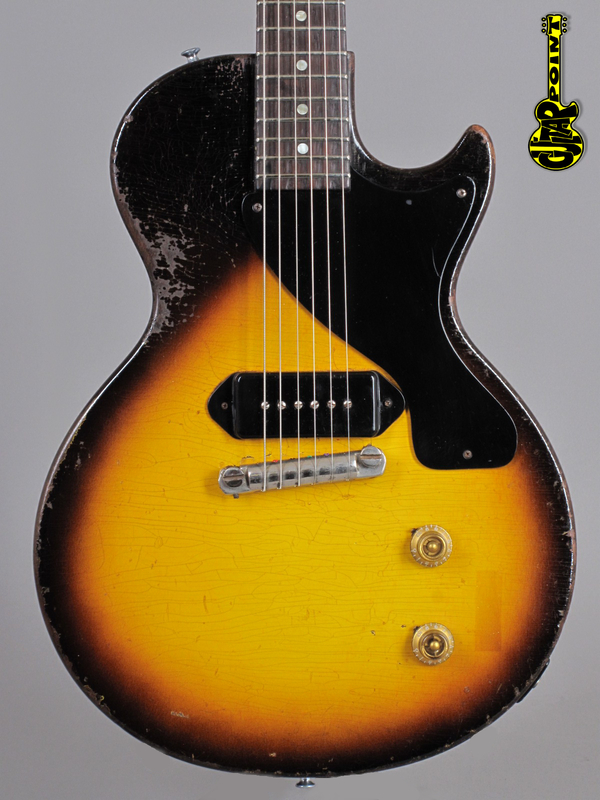 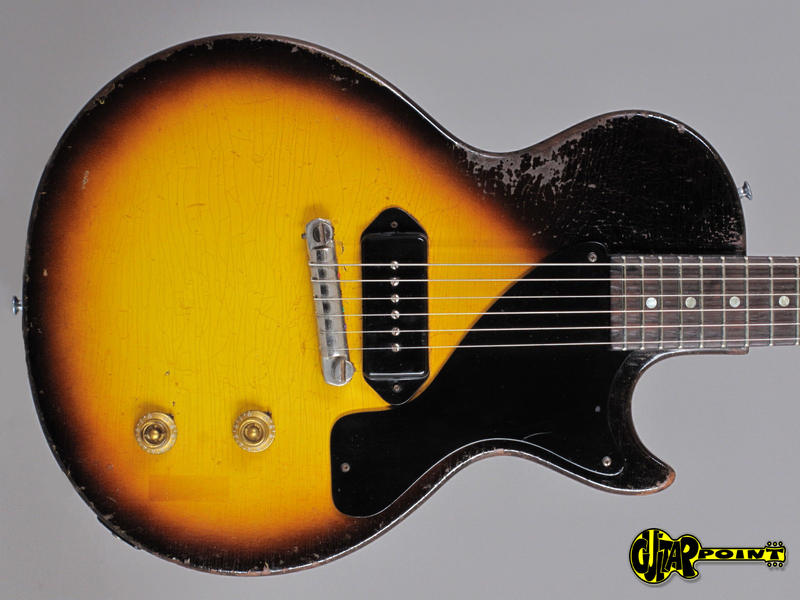 Mojo-Queen 1956 Gibson Les Paul Junior in great condition. 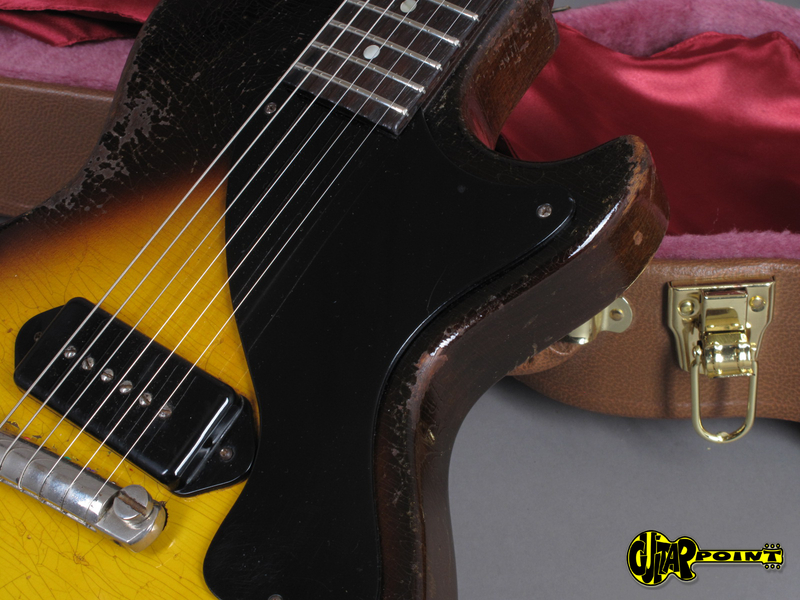 It's got a great full neck profile and sounds exactly like you want it to sound. 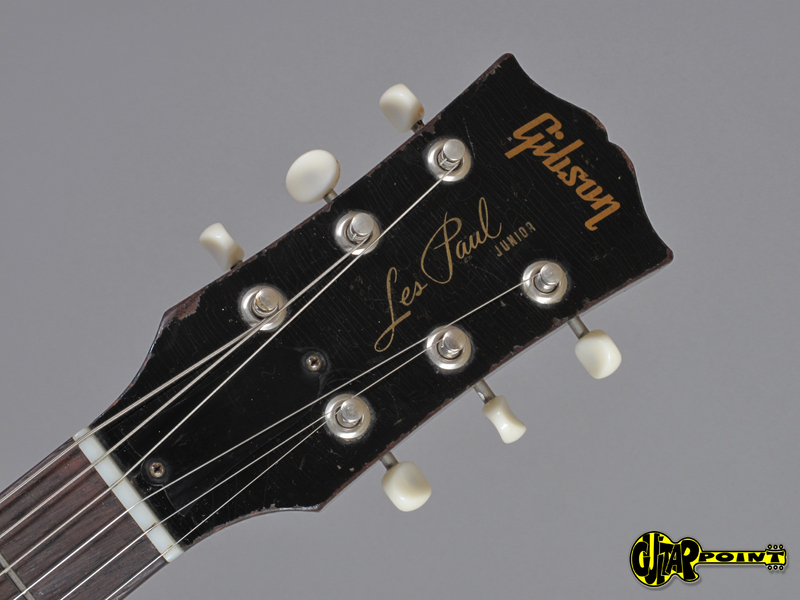 It's been played and got playwear but this makes it look just right. 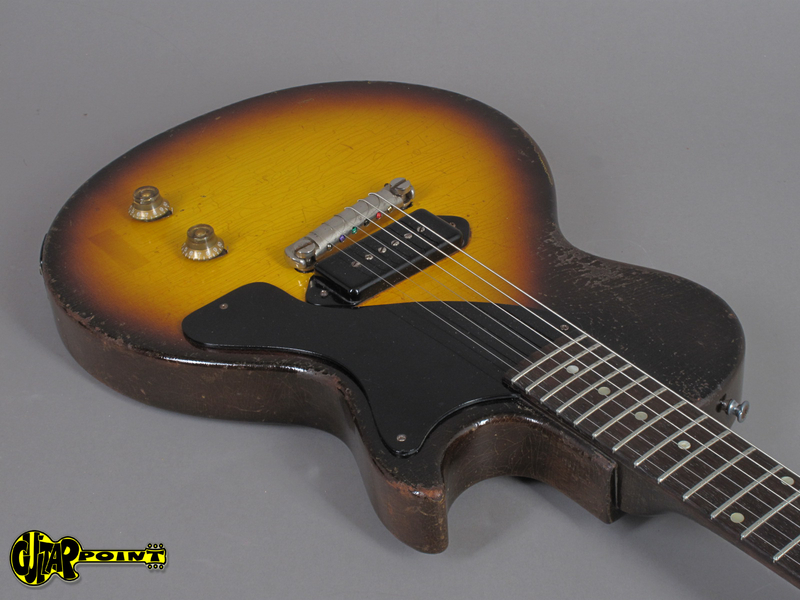 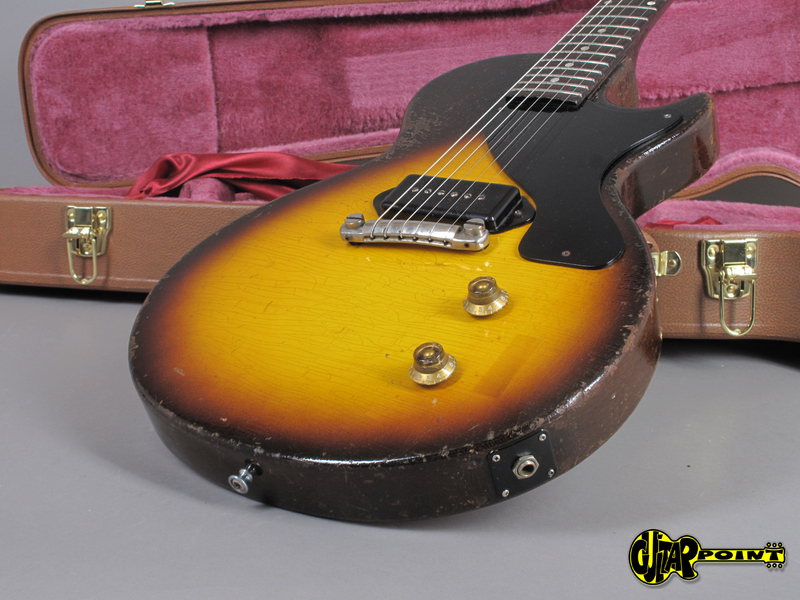 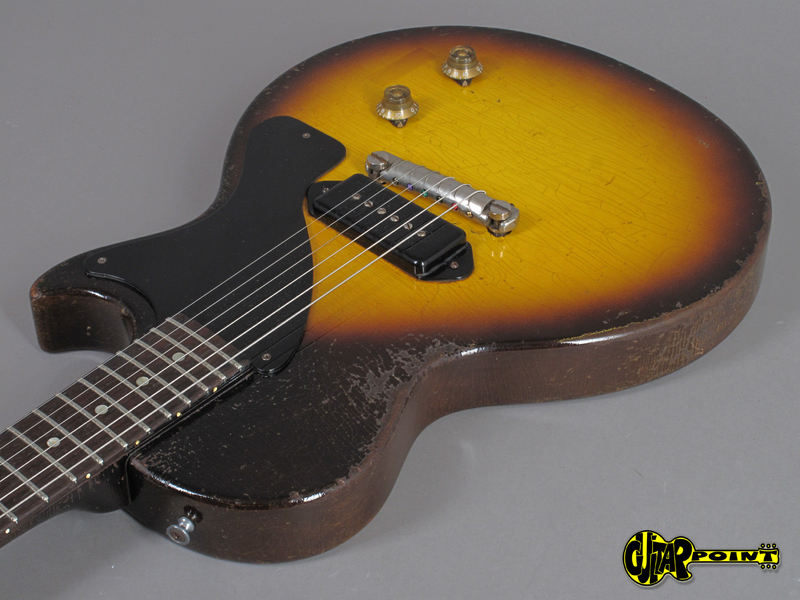 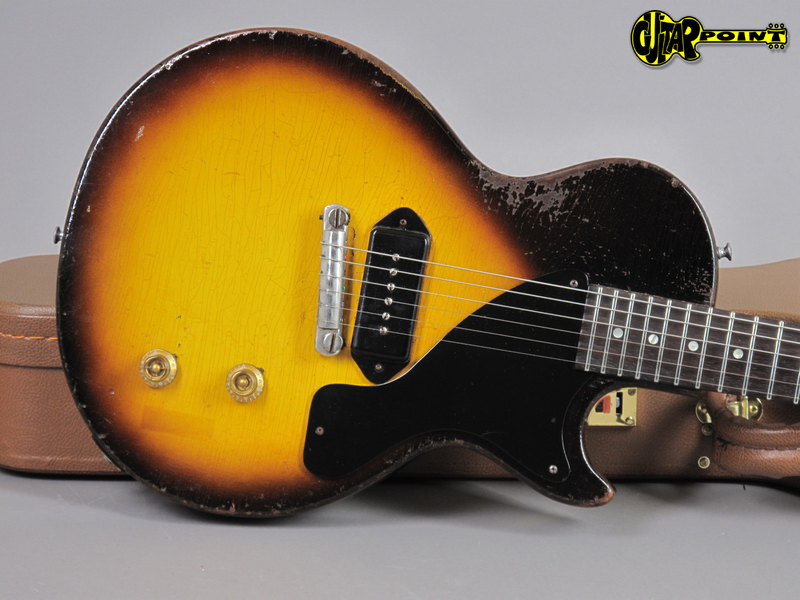 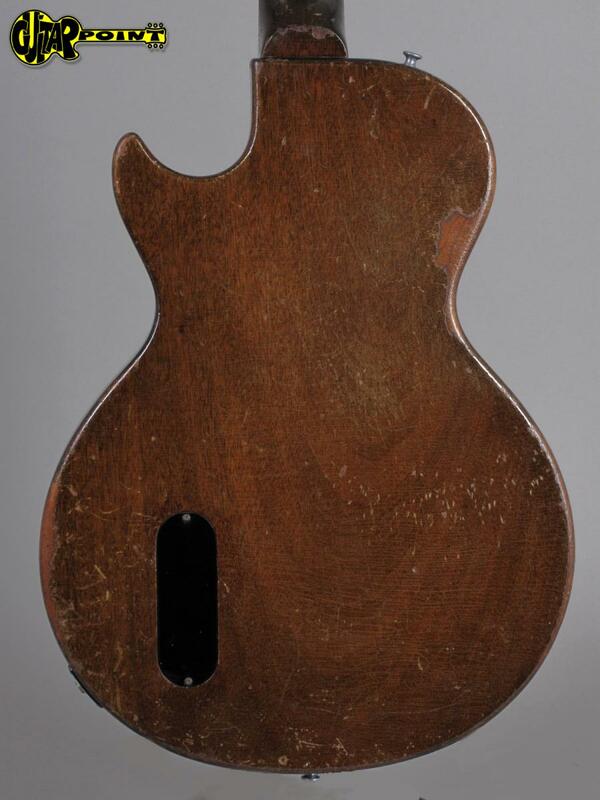 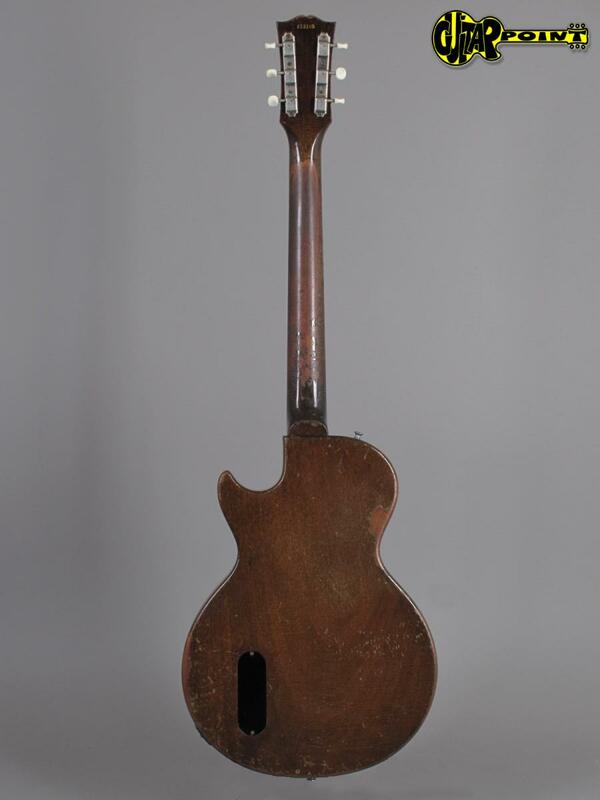 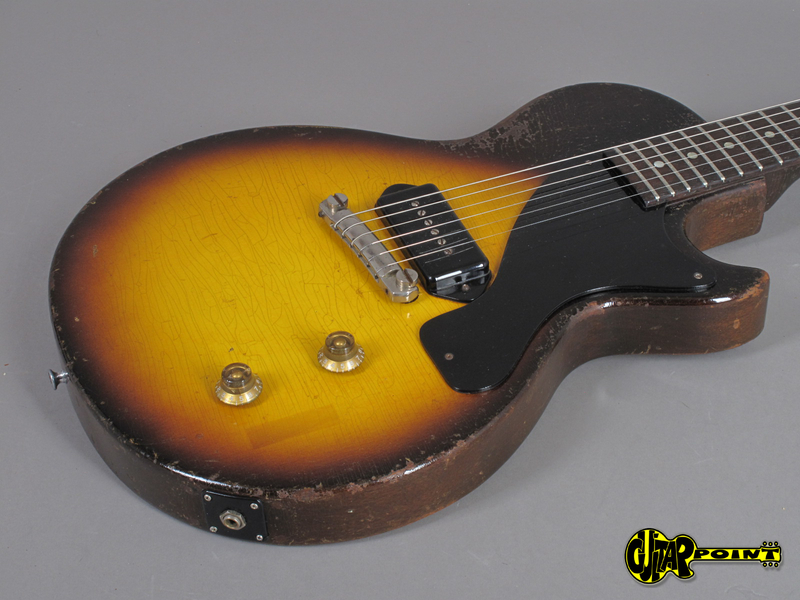 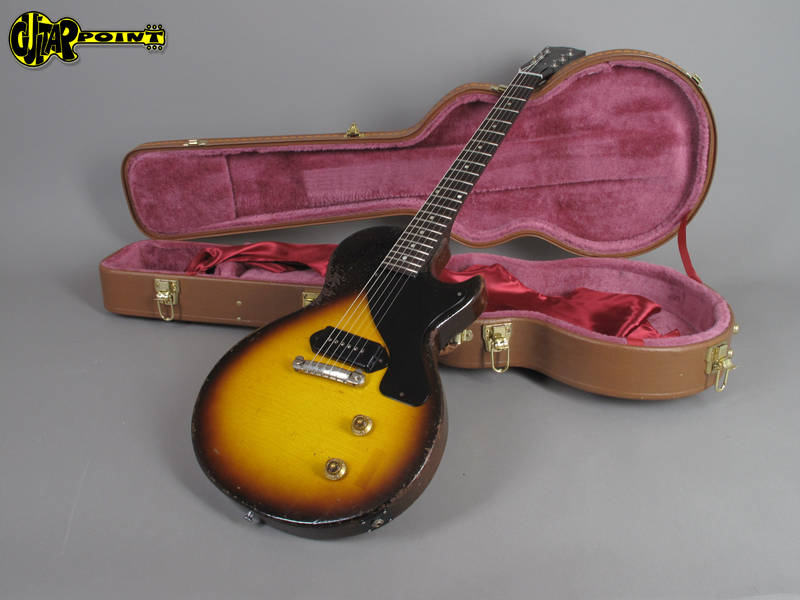 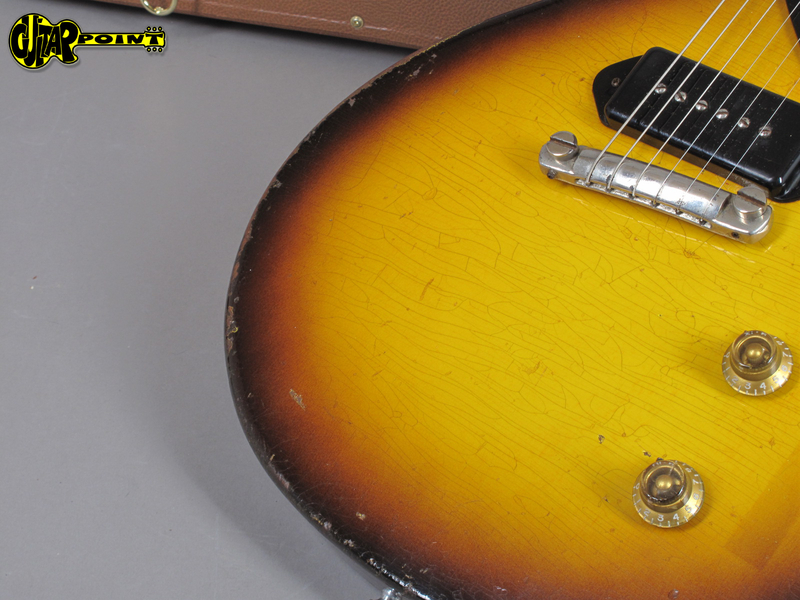 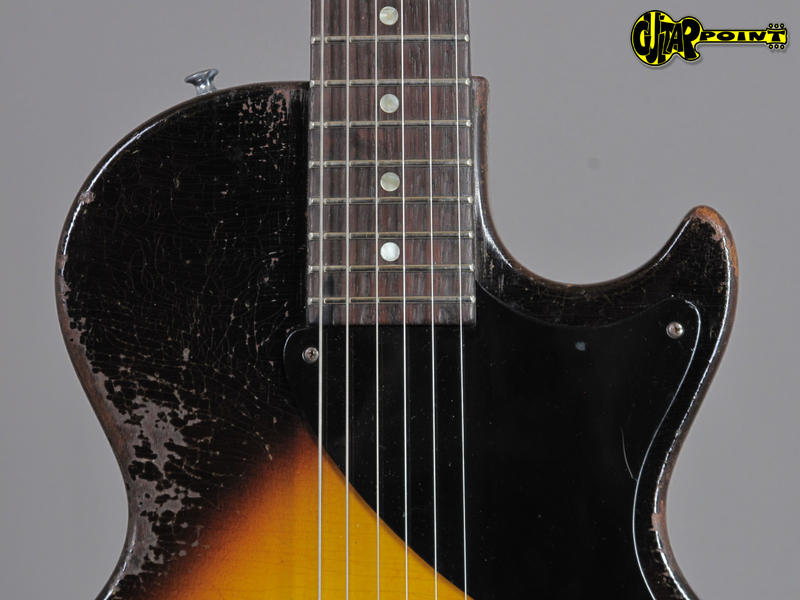 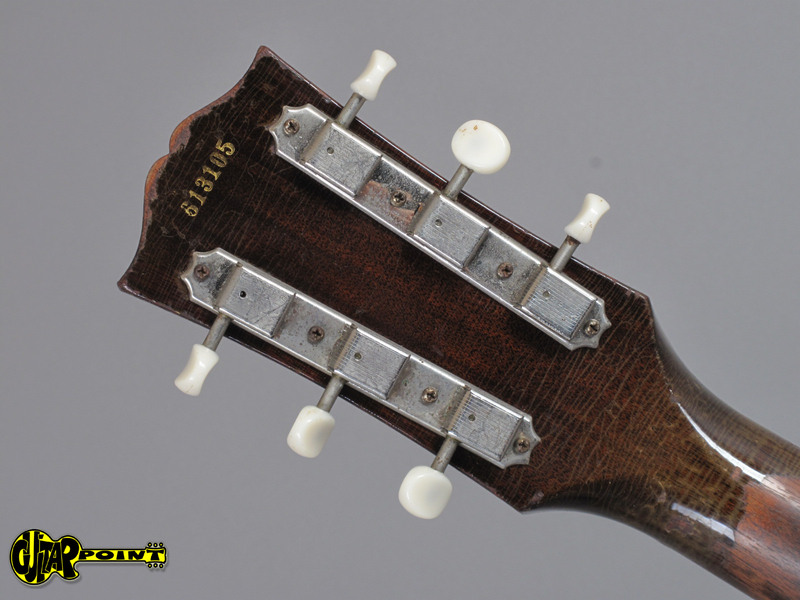 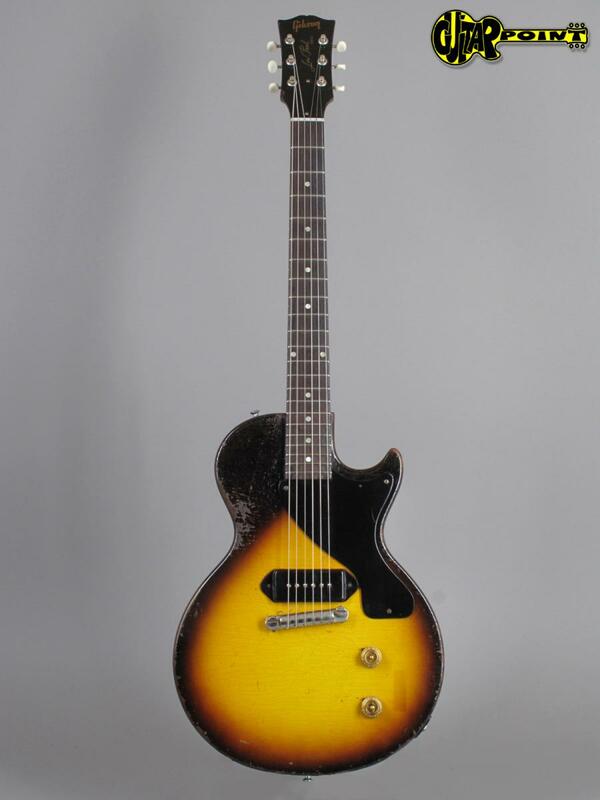 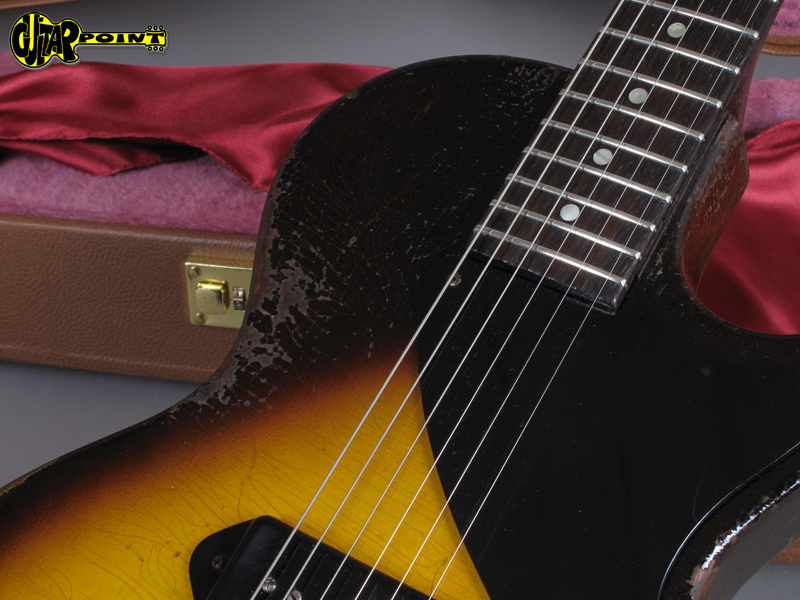 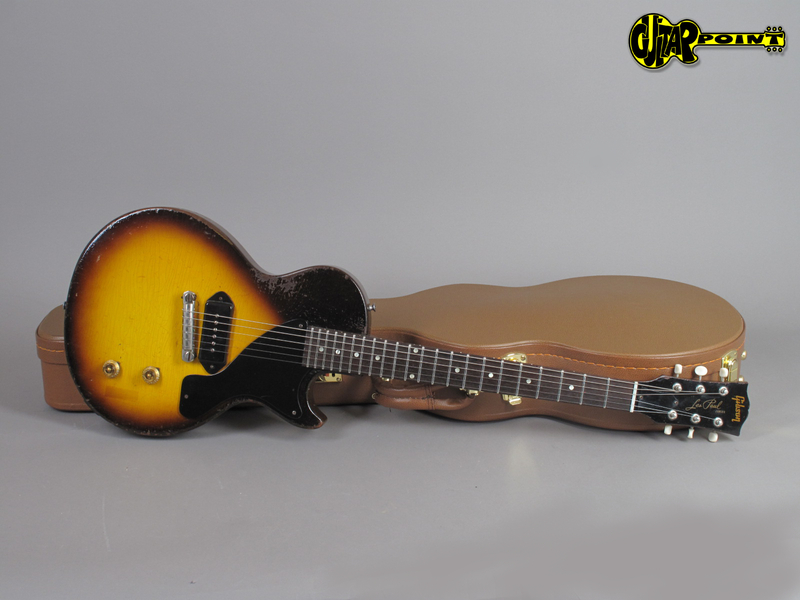 It's lightweight with only 3,35Kg and the P-90 "Dog-ear" pickup has got 7,66K. 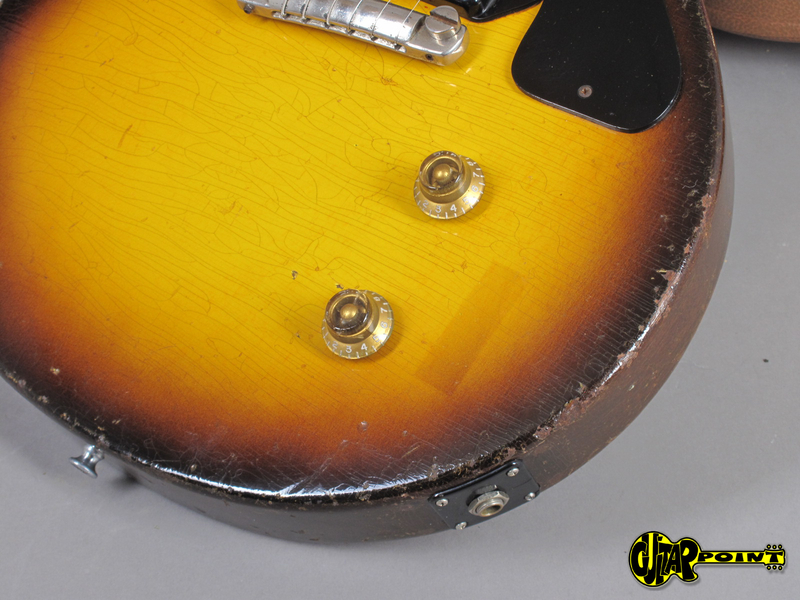 The machine heads have been changed but the originals (with the typical totally crumbled buttons are in the case), the tone and volume knobs are newer repros and the jackplate is new as well. 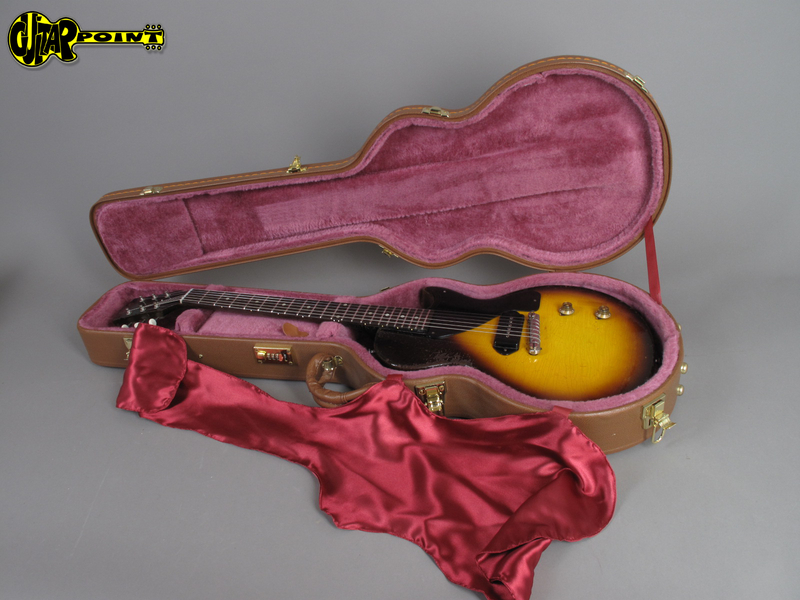 Comes in aftermarket Les Paul case.